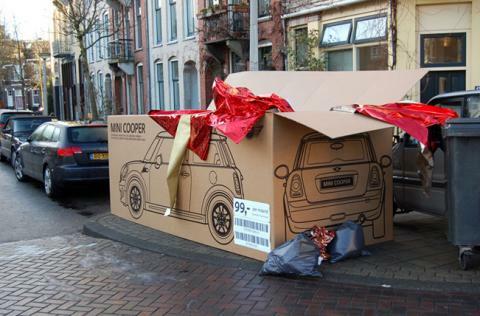 MINI’s utilization of out-of-home advertising opportunities never cease to amaze (and entertain) me. To say each is more creative than the last would be a lie–not because the quality goes down, but because each individual execution is so unique, it’s like comparing apples to oranges. 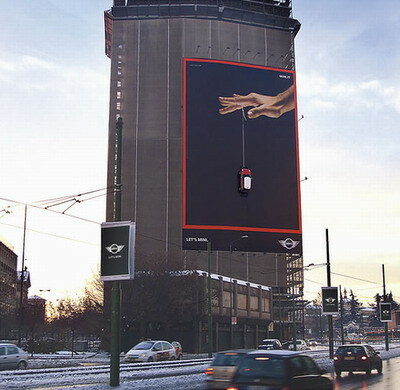 Over the past few years, MINI has managed to take one of the oldest forms of advertising–billboards–and transform it into an event, capturing attention nationwide. But recently, they’ve added a new element to their approach: digital out-of-home. For the launch of the new 4-door MINI Countryman, the company took more of an interactive approach, actually getting consumers involved in the advertisement. Over the summer, replicas of the new car made special appearances in shopping centers, stations and streets around the UK. The challenge: how many people can you fit in a MINI? And although the cars looked packed to the brim with crammed-in people gasping for air, they were, in fact, empty. So how did they do it? Using video cameras inside the MINIs, passersby could take the challenge, packing as many people as possible into the car while recording the whole scene. Then, the footage was projected onto the inside of the MINI, as if the challengers were still inside. Participants could then share the video with friends via Facebook. 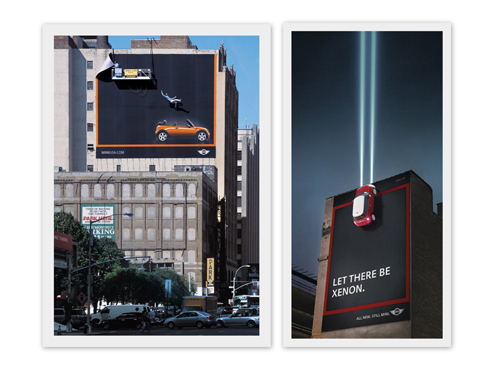 Remember some of MINI’s other executions the past few years, some of which landed them in the 2010 OBIE Awards Hall of Fame and as finalists for AdWeek’s Best Out-of-Home Ad of the Decade? The campaign for MINI Clubman also made it as a finalist for the 2009 Out-of-Home Media Plan Awards.